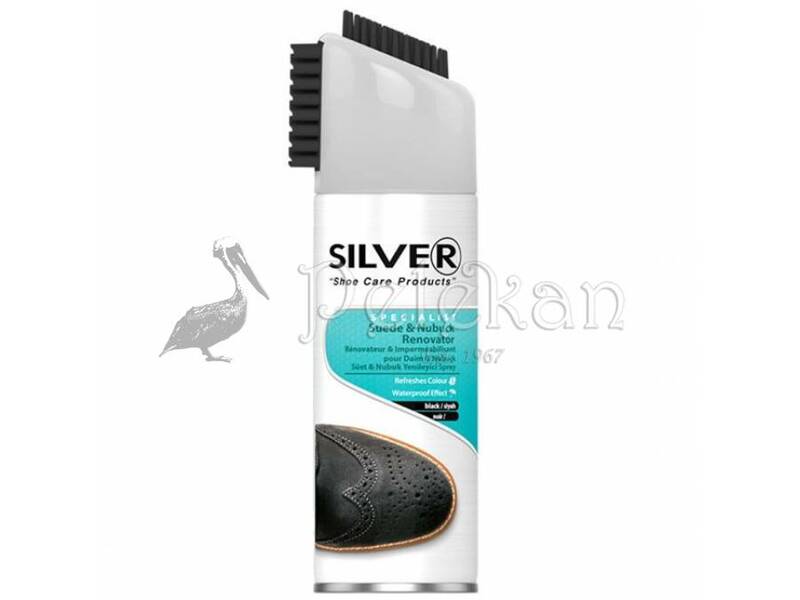 SILVER SUEDE, NUBUCK RENOVATOR Spray with brush cap. 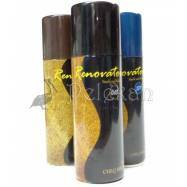 Restores the surface appearance and revives original colour. Effectively waterproofs and protects suede, nubuck and fabric surfaces against penetration of water, rain and snow. 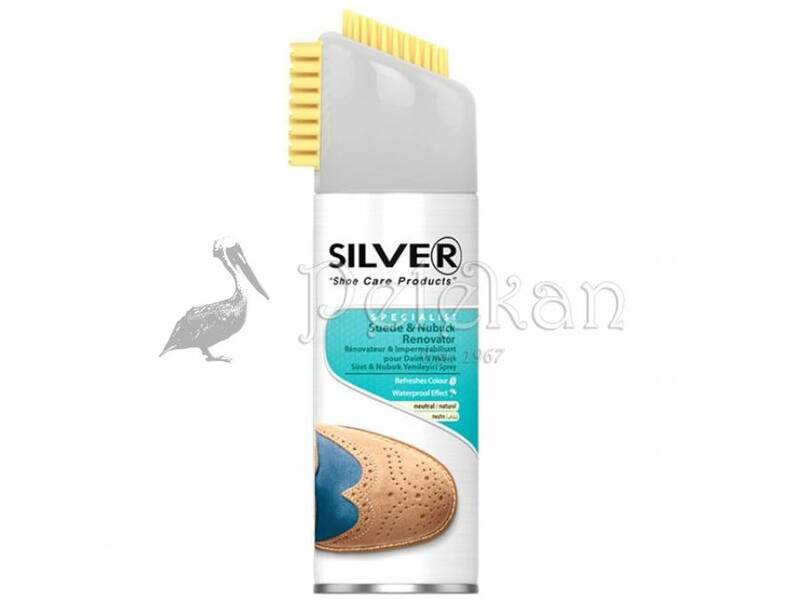 Suede & Nubuck impregnation product. 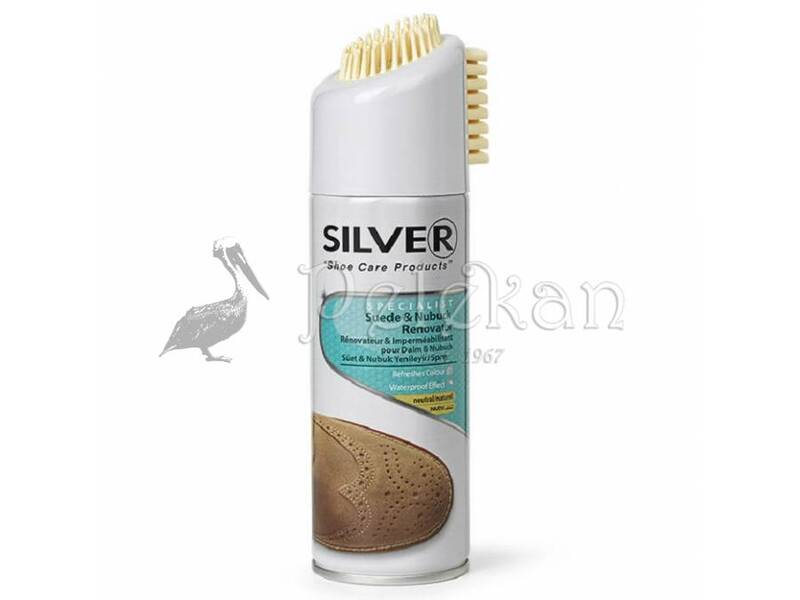 Restores the surface appearance and revives original colour. Effectively waterproofs and protects suede, nubuck and fabric surfaces against penetration of water, rain and snow. Regular repeat application maintains the protection and colourfastness of the leather.